Hello! 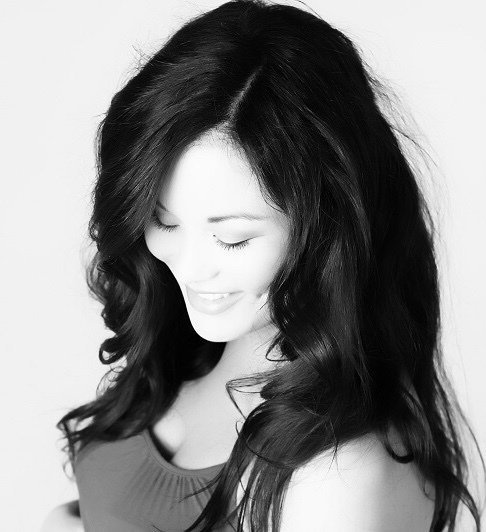 I am Meleyna, and I am a Planner. What does that mean, exactly? My kids have always been on “schedules.” I get panicky if I don’t have at least an outline of a dinner plan by noon. I fall asleep thinking about what I need to do the moment I wake up. I spend more time preparing for vacation than I do actually away on any given trip. I am rarely late. 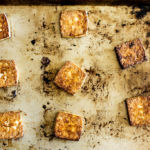 But this recipe for roasted tofu squares is exactly what I need when the unplanned knocks on the door and I’m left dumbstruck and paralyzed in the face of uncertainty. Dramatic? Maybe. (Probably.) But when it’s nearing noon on a Saturday and all the kids had for breakfast was, um, I’m not really sure? I should probably get something legit in their bellies for lunch. I keep a block or two of tofu on hand in the fridge for just these occasions. Unopened, it keeps well for a couple of weeks, and is a quick cooking option when I don’t have a ton of time to spend in the kitchen. But while tofu may be quick to cook (I mean technically it doesn’t even need cooking), take a look at so many of the “easy tofu” recipes floating around Pinterest. Recipes that require pressing and draining and squeezing between an elaborate set-up of plates and weights and oh the stacks on stacks on stacks of paper towels. But why? The problem, you see, is that tofu is packaged in water. To get a firmer, meatier quality in your final product, you gotta get that water out. And while many tofu recipes will insist that cooking with tofu requires you to set up your pressed tofu hours ahead of dinner time, that’s just not the name of the game right now. (See above: dumbstruck and paralyzed.) Seems like we maybe need a new approach here. How about instead we just blast it in a hot oven? 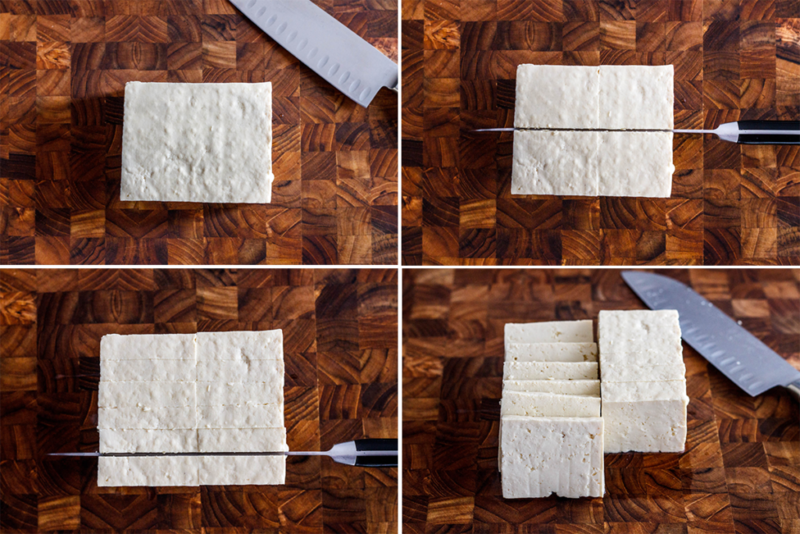 Slicing your tofu up increases the surface area, meaning that it is easier for all that water to release from your tofu. 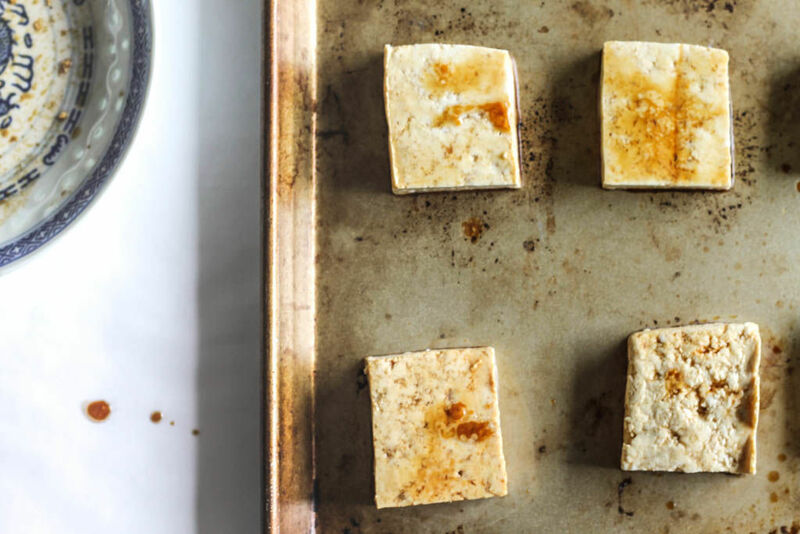 Just three ingredients and 30 minutes, and you’ve got these incredibly versatile, savory-salty-downright tasty little roasted tofu squares in front of you. (That also just happen to be vegan and can be made gluten free, if that’s your jam.) Quick and easy? Check and check. 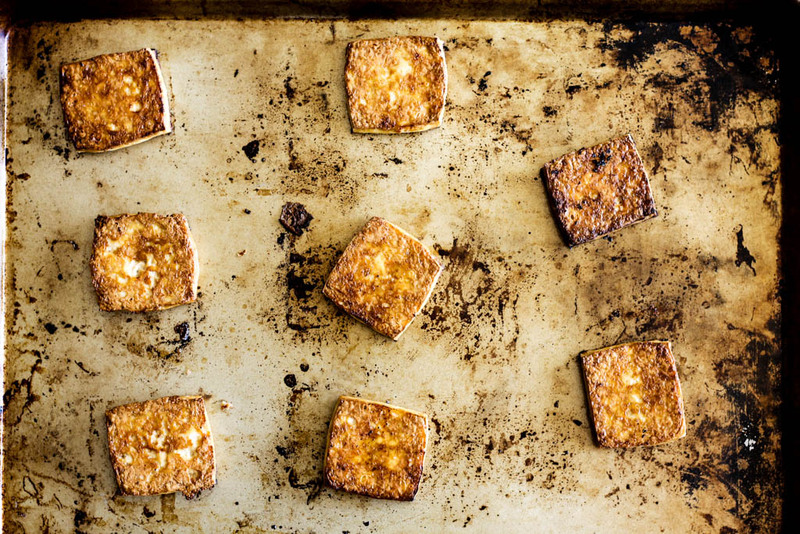 These tofu squares are just as delightful at room temperature as they are hot. They pack up and travel well. Tuck them into a grain bowl with greens and veggies for dinner, pack them up in a Star Wars lunchbox for a school day or a weekend day trip. Or just serve them up with your kiddo’s favorite dip as a protein-packed after school snack, an easy weekend lunch, or dinner when you significant other is working late and you have no interest in any sort of involved cooking. I love the easy and versatility of this quick little tofu recipe--no time consuming squishing and pressing required. I prefer coconut oil for its flavor here, but feel free to play around with your favorites. Soy sauce and gluten free tamari can be used interchangeably here, but please note that this recipe is only gluten free if you opt for tamari. Adjust one of the oven rack to the uppermost position. Preheat oven to 425 degrees. Lightly grease a large baking sheet with a little more oil or nonstick cooking spray. 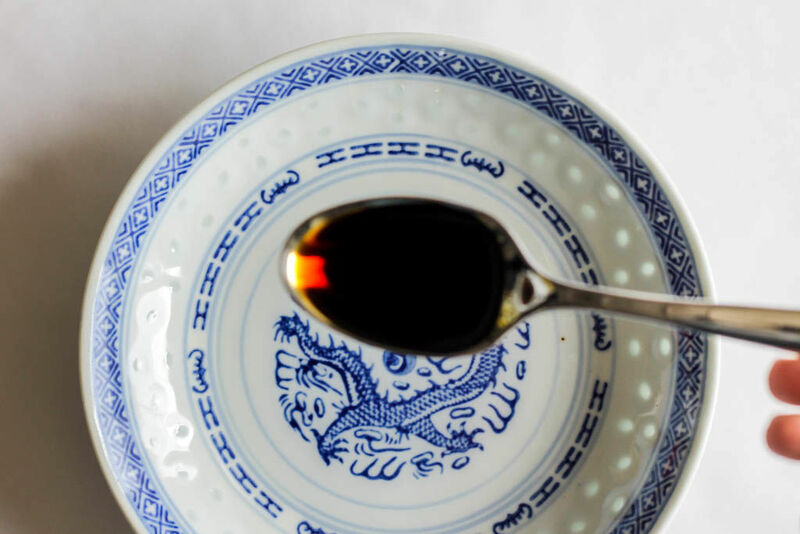 In a shallow bowl or plate, add your oil. (Is your coconut oil solid? Just add a couple of small spoonfuls to the bowl and pop the whole thing in the microwave for 30 seconds.) Stir in the soy sauce. Set aside while you prepare your tofu. Remove tofu from the package and discard the extra liquid. 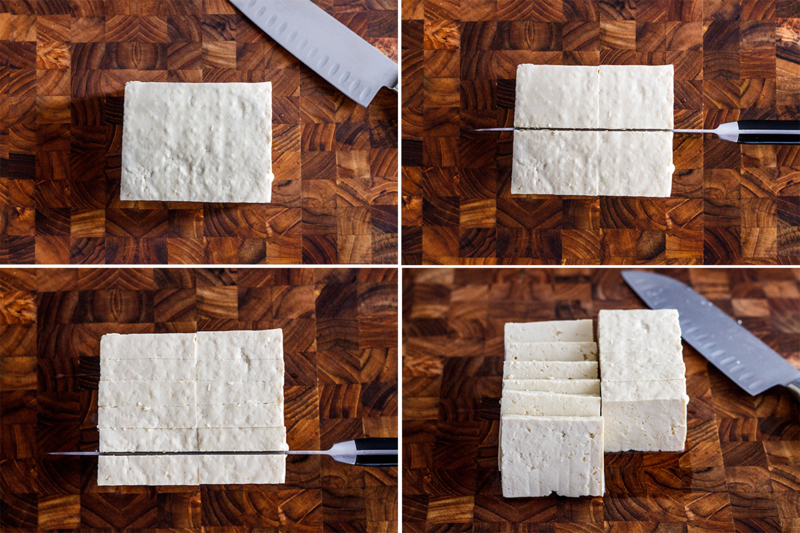 Cut the block of tofu in half. Cut each half into six slices. (See picture above.) You should end up with a dozen little squares. 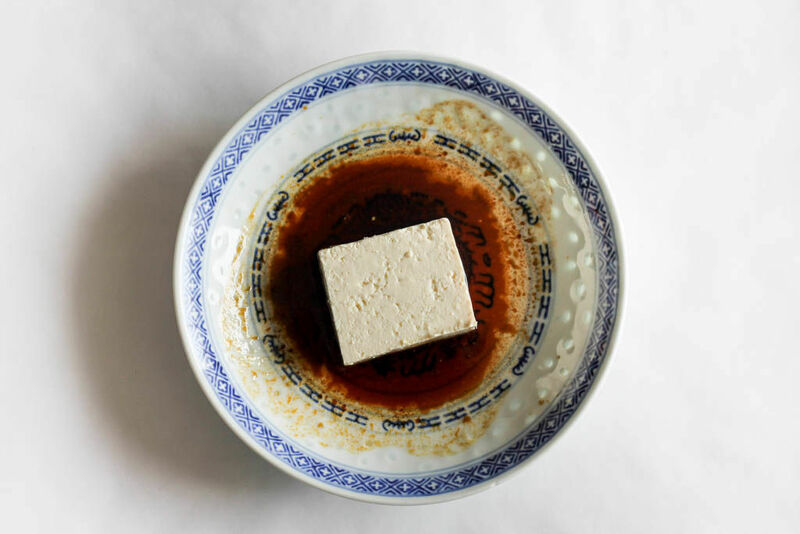 Add a tofu square to the oil-soy sauce mix, flipping once to coat the entire square. Place on the baking sheet, and repeat until all the squares are bathed and ready to go. (If your tofu is really cold, the coconut oil can sometimes seize up around the tofu. No worries, it will melt again once in the oven!) Spoon any extra evenly over the tofu. Slide the baking sheet into the oven and roast for 15 minutes. You should be able to see the edges of the bottoms of the squares browning at this point. 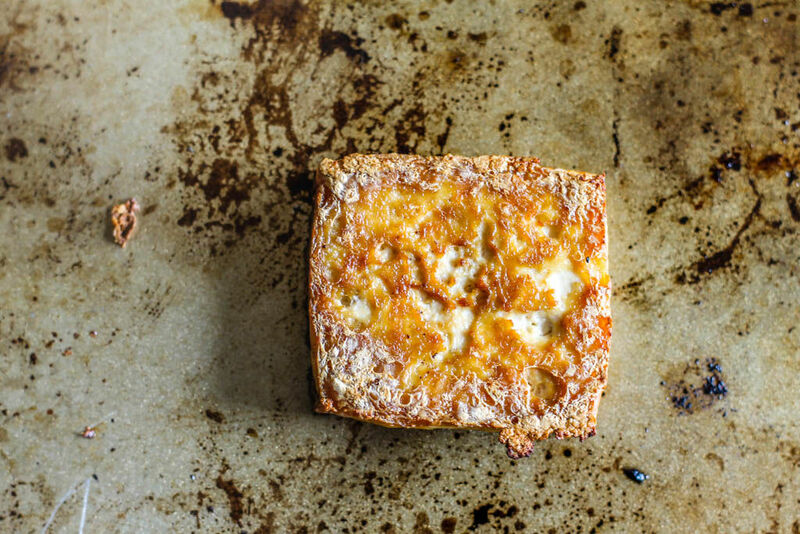 Remove the baking sheet from the oven and flip the squares. (They may take a little convincing with your spatula, but if they are particularly difficult to flip, return them to the oven for another couple of minutes.) Return to the oven for another 5-7 minutes, or until they are browned and crunchy all over. info. I’m glad that you simply shared this helpful information with us. I think that everything composed made a lot of sense. But, think on this, suppose you typed a catchier post title?